It’s National Recycling Day—in honor of this auspicious occasion, I’d like to make a public service announcement: your grandma was right—waste not, want not. We all stand to benefit when we make the most of what we already have. There are so many innovative individuals out there who take these words to heart, creative souls who look at trash and see treasure. 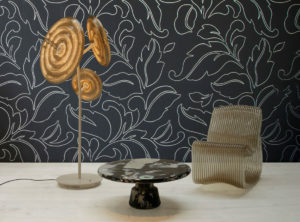 These home décor items were rescued from the rubbish heap and could have a stylish place in your home. 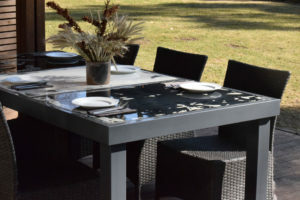 Meals on wheels: a salvaged car becomes a dining table. Drinking all those bottles of wine pays off! 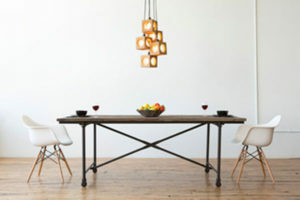 Recycled cork becomes a pendant light. 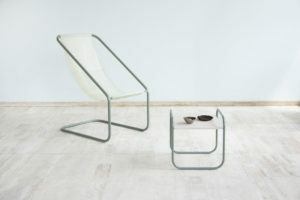 It’s a sea change: hand-woven seaweed yarn becomes a chair. 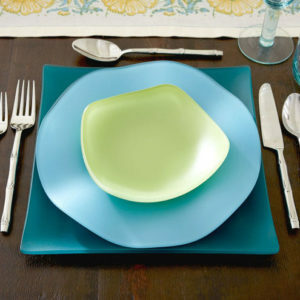 Take a deep dive while dining: recycled sea glass becomes dinnerware. 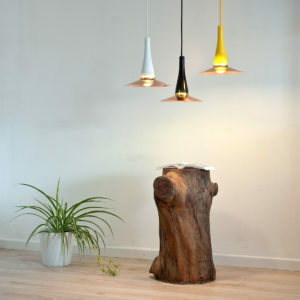 Raise a glass: upcycled glass bottles become pendant lamps. 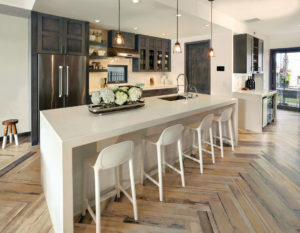 Pull up a chair, help save the trees: reclaimed wood becomes bar stools. 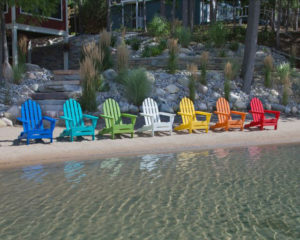 …or brightly colored outdoor chairs. 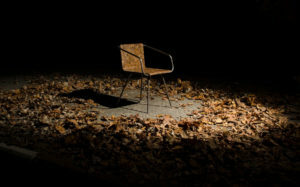 A new leaf: fallen foliage becomes a chair.